Mover and Shaker Co. makes the best pins and flair around. 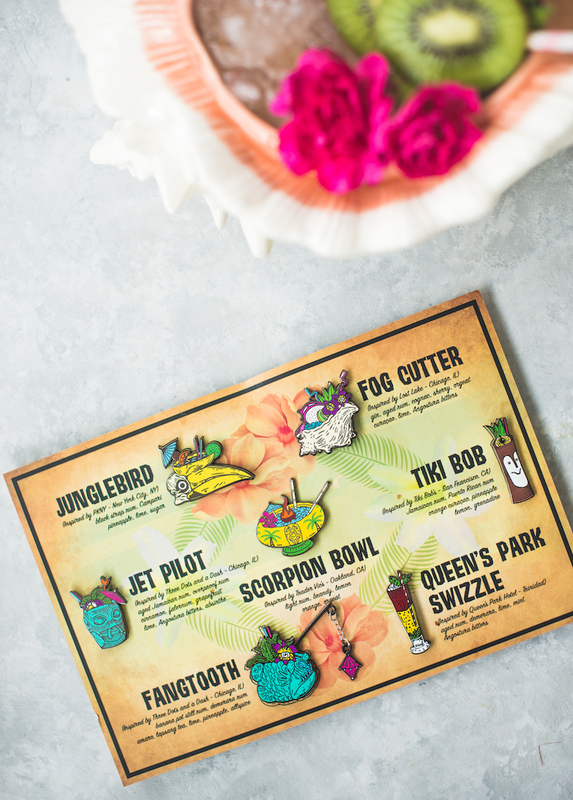 Their new tiki mug pin set I.am.obsessed with! The colors are stunning and there is even a spinning detail on the Fangtooth mug! If you are into collecting spirited flair, you’ll want to add these ones to your collection! 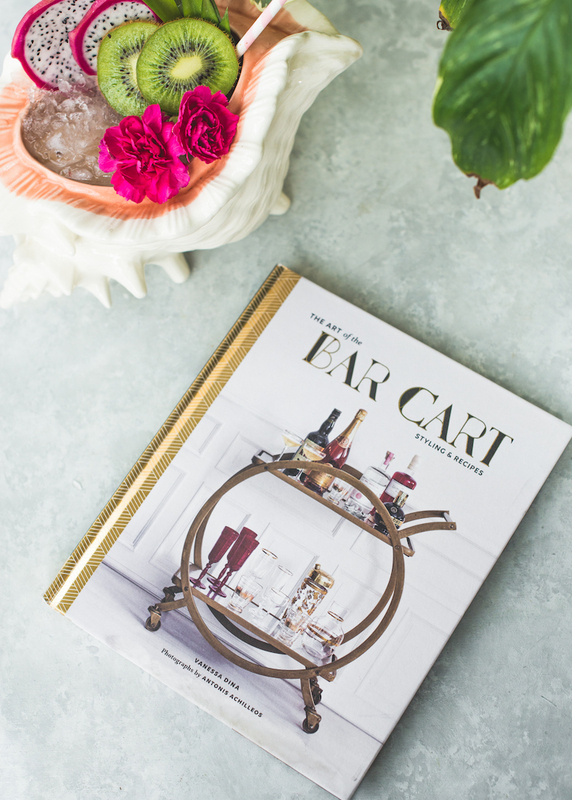 We teamed up to bring you a giveaway with a set of his exclusive tiki pins and a copy of my book, The Art of the Bar Cart! 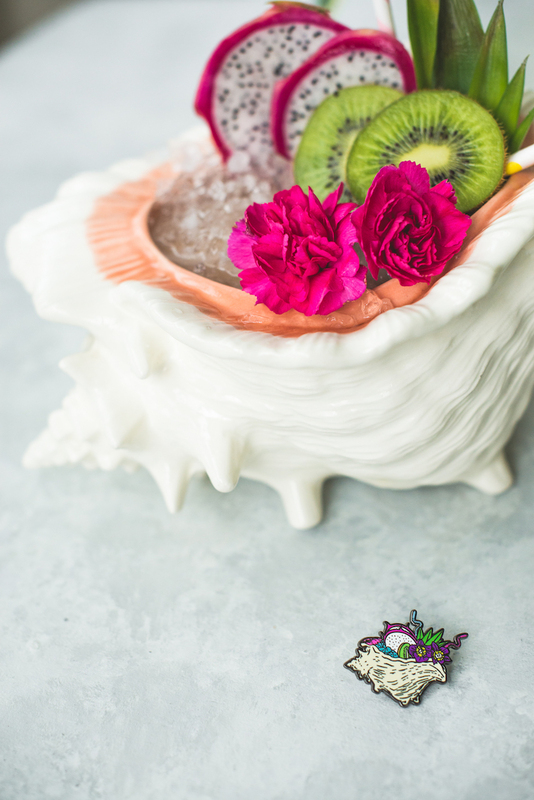 The Mover & Shaker Co. tiki pins are based off of famous tiki drinks, both classic and modern. I chose the Lost Lake Fog Cutter bowl to whip up! 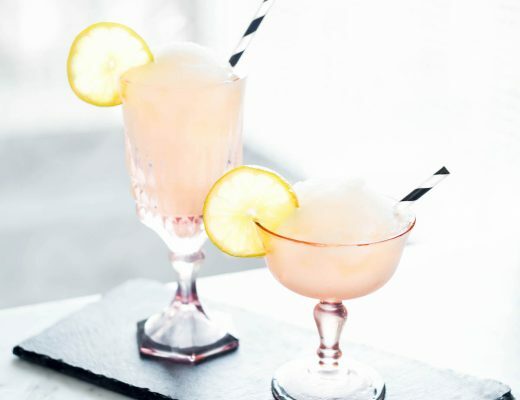 Although the recipe is s bit secretive, I whipped up a classic Fog Cutter with a few adjustments of my own (adding in some lime and adjusting the proportions) including a jazzed up garnish. 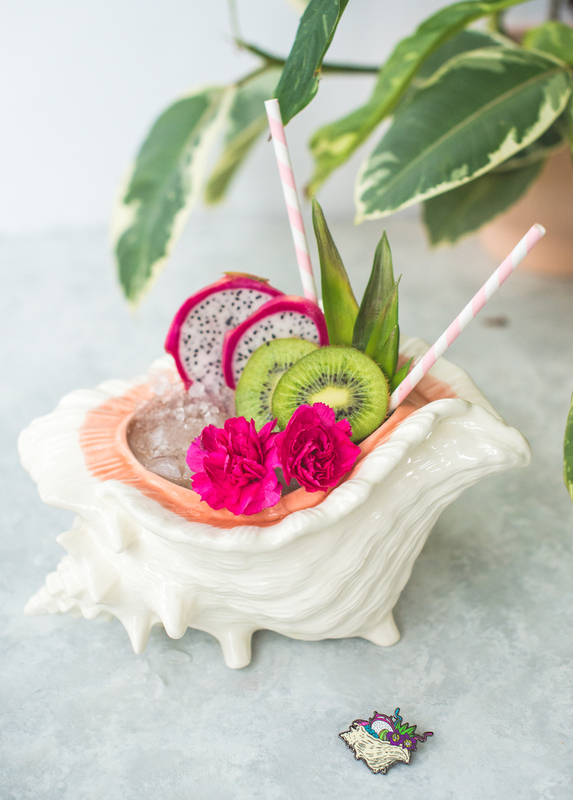 And the rad shell punch bowl? It had a former life as an old lady’s planter. One person’s planter is another person’s punch bowl is how that old saying goes, I am sure of it! 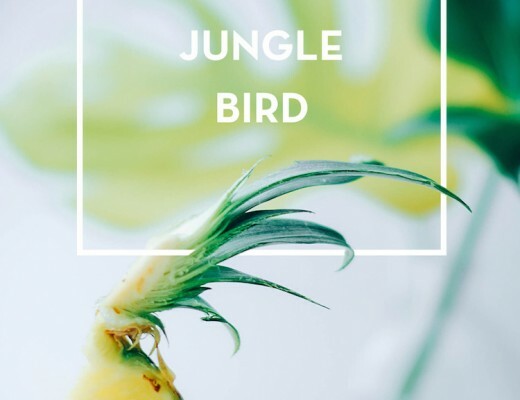 You can get the recipe below. With the signed copy of my book The Art of the Bar Cart. 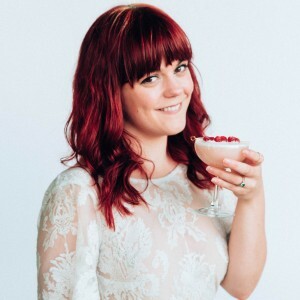 I will personalize the book to the winner to add to their cocktail book collection! The giveaway is being held on Instagram, but you can get the recipe for the Fog Cutter bowl below! 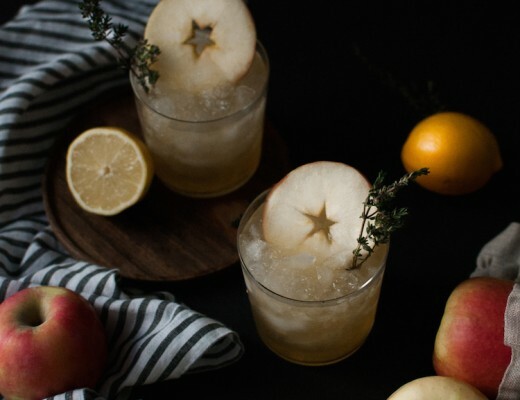 A classic Fog Cutter updated for modern imbibing! Combine all ingredients in a shaker along with 1 1/2 cups of crushed ice. Shake hard. 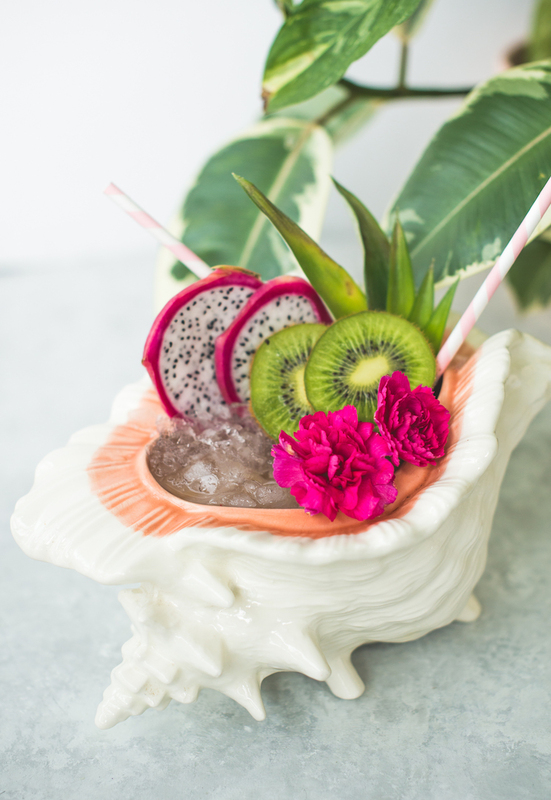 Pour with out straining into a tiki mug or vessel with crushed ice. 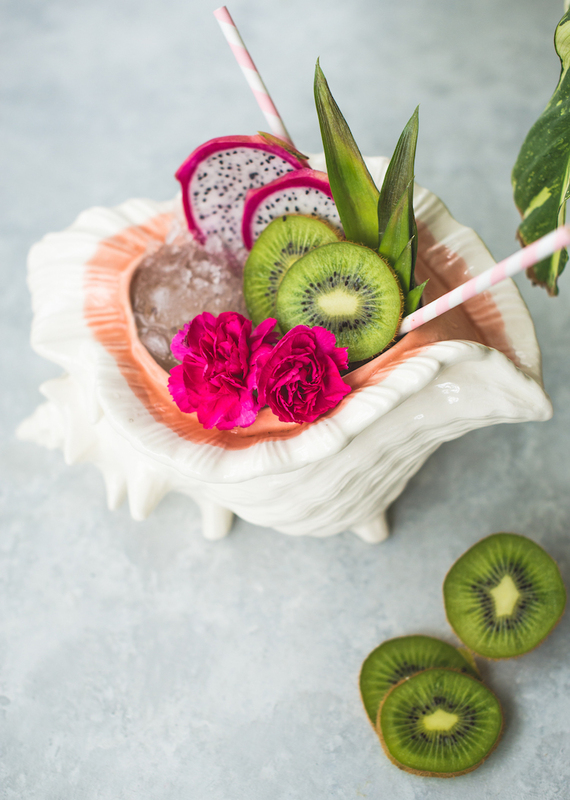 Garnish with tiki accoutrements.